A graduate from Saint John's University with a Bachelor's degree in Accounting and a Master's degree in Taxation, Kelly is a Certified Public Accountant and a Chartered Global Management Accountant with over 20 years of business experience, in roles such as Corporate Controller, Accounting Manager and Senior Accountant. She has broad experience in financial and SEC reporting, general accounting, tax compliance and planning, budgeting and forecasting, treasury management, planning and analysis, audit functions and process improvement in industries such as healthcare, software, pharmaceutical, manufacturing and logistics. She is a member of the North Carolina Association of Certified Public Accountants and the American Institute of Certified Public Accountants. Kelly is also an Intuit Certified QuickBooks Advisor. Kelly's mission as a full service accounting and tax consultant is to comprehensively integrate many of the services that a small business needs to be successful. She takes pride in being able to save her clients time and money by meeting their business needs. She provides individual attention to each client and builds relationships while working side by side to achieve her client's financial goals. Our mission is to help clients maintain financial viability in the present, while taking a proactive approach to achieve future goals. This requires open communication to reach an understanding of our clients' needs through research and sound analysis. 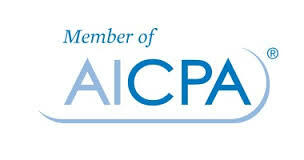 Green-Krist, CPA PLLC is dedicated to meeting these goals with high standards of excellence and professionalism. We have been a staple of the area's business community for years, and pride ourselves on the level of esteem we have earned. Our dedication to hard work has earned the respect of the business and financial community in and around the area. We believe this to be a direct derivative of our talent and responsiveness to our client base. Whether you are a current or prospective client, rest assured that individuals and businesses who choose Green-Krist, CPA PLLC receive competent and timely advice.